Shopping for a baby has proved both daunting and exciting; choosing items that fit my husband and I's personalities while gravitating toward style and function, with bonus points if it can be used for multiple children. In my eyes, I'm willing to spend money on big ticket/heavy use items: strollers, changing pads, baby carriers, sourcing deals and utilizing controlled spending on others: crib, high chair, full/overpriced baby clothes. In my husbands eyes as long as it didn't require one of use adding a second paycheck he didn't care. Baby wearing has proved to be my preferred way of transport while out and about and our solly (me) + tula/infant insert (Mark; I will once Owen outgrows the Solly) have gotten their use in spades. 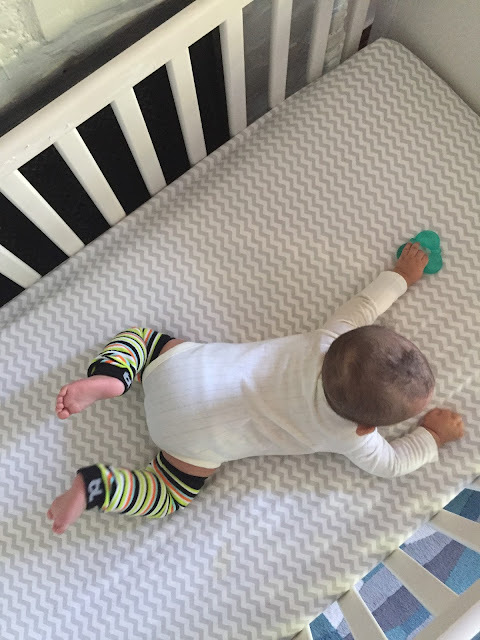 The thought of a fabric changing table made me gag (hello diaper blow outs) and the keekaroo has proved its easy clean up to us over and over and over (and over!) again. Our stroller was the source of some seriously heated conversations (the price tag is, whoa), but because I had my mind/heart made up, found out that this store sold their floor models at discount and we scored a previous years model (still in the box, never opened) for a pretty sweet price. This is my favorite baby product, to date. Our car seat can be used with it, the storage bin is massive, it accommodates up to three children, handles uneven terrain no big deal, and -- the list goes on. If you want all of the of reasons I adore our stroller and its features email me, I could go on forever. Literally. Having a bassinet in our room was not the plan (my mother in law was a genius to give to us, "just in case"), but has proved the ideal option for me, since I'm the (primary) one getting up in the middle of the night. I won't lie, I love rolling over to see him sleeping peacefully, or, during his vivid dreams, close enough to reinsert his pacifier without getting out of bed. Wubanub: A few days after we brought Owen home deep in the throes of 2 am screams we tried two pacifiers before we were awarded with the sweet, sweet silence that is a happy baby. We have three (his bed, main floor, car seat/diaper bag) and notwithstanding the fact they are ridiculously cute, they are virtually impossible to lose. 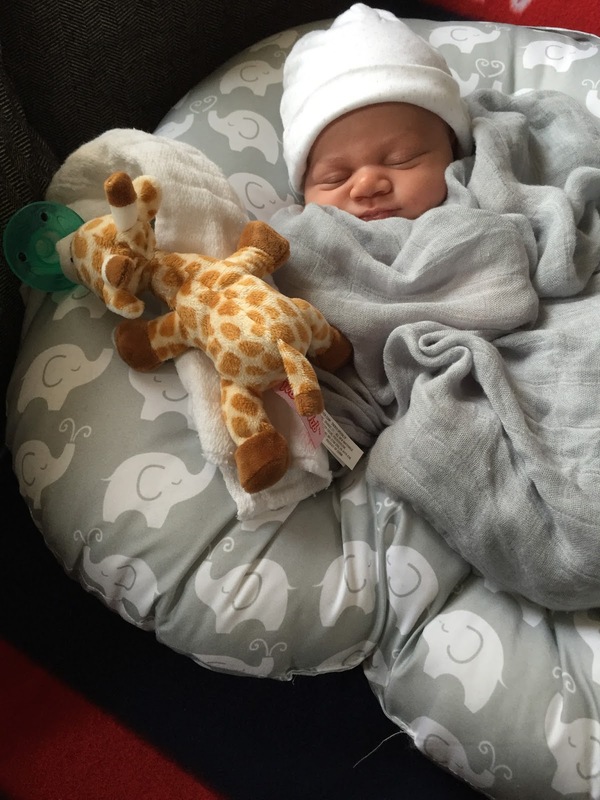 The Boppy Lounger was a gift not on our radar and has been a lifesaver for feeding, napping and lounging. It washes beautifully in the washer/dryer too. Burt's Bees Shampoo/Body Wash smells incredible and is 1,2 punch in the multi use category. The lotion smells just as lovely. The first few months we swaddled with Aden Anais swaddles (they really do get softer with each wash!) + Halo (we got this from the hospital) then switched to Halo Sleep Sacks. After the initial transition period (he would whack himself in the face and subsequently wake up), we bought another to rotate because we we're using them nightly. We had three different bottles to start, but after going to OT quickly made the switch to soley Dr. Brown bottles (standard + wide neck). Pro Tip: buy the 8oz bottles. They grow out of the 4oz super quick. Mark was less than enthused by the style of our diaper bag, but I got it on super sale at Nordstrom Rack for $25 making the decision to purchase a no brainer. We recently bought a backpack for outings where a big bag is less than convenient (baseball games, festivals) and love having our arms free, especially if we are baby wearing. We use cloth diapers (flip + all-in-one) + wipes and love them, but that's a different post for a different day. What are some of your favorite baby things? I'm glad you are loving CD. I have yet to get them out for number 3 but plan on it soon. Oh and FYI the wubba nun can get lost, I repeat can get lost. Both of C and E have last theirs (thankfully we were able to find one of them) and the baby refuses them. Sigh. I keep trying to force them on him but I think it's a lost cause. I'll have to keep a close eye on our wubbanubs, thanks for the heads up! We got a few 6m tee shirts and they are pretty great. They do ride up a bit, but for the summer/early fall, I don't think it matters so much.